YPB Group, an Australian company, launched a bold food fraud prevention technology which can help fight food counterfeiting. One of its main uses will be in checking the quality of olive oils for export to China. This is expected to become an industry standard for invisible tracking technology which can be used not only for food but for other products as well. This gives YPB a huge advantage over other anti-fraud measures which are not accredited nor recognized. PriceWaterhouseCooper (PWC) has revealed that olive oil, alcoholic beverages and seafood are the products which are most popular among counterfeiters. These foods provide criminals with many opportunities throughout the supply chain for tampering with products. 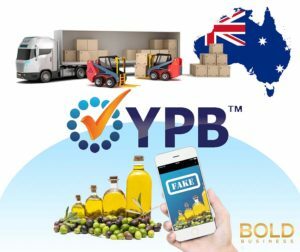 With this new app from YPB Group, Australian exporters are in a better position to verify product authenticity. The scanner is a small device which can be used at the point-of-sale, or for any part of the supply chain which requires inspection. Brand owners are more than willing to use this in order to protect their name. It not only detects and prevents counterfeit items, it also ensures the safety of the consumer. YBP’s tracking technology was developed in 2015 with the goal of becoming scalable for different solutions to prevent the spread of fake or copied items. The tracer has invisible particles which can be mixed in with pigments, paints, ink and plastic for caps, labels, and even for corks. It can also be applied directly to food items. The technology is composed of inorganic and non-radioactive trace minerals and has been certified safe for direct contact with food by different food and drug administrations in Europe, as well as the United States and China. 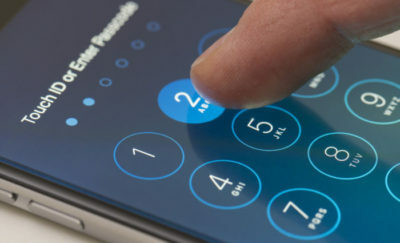 It has been in use as an authentication tool for everything from tax certificates and other documents, to pharmaceuticals, food and other consumer goods. The Chinese market is ideal for these authenticated products. With the boom in economic prosperity there has been an increase in the volume of imported luxury food into China, which includes Australian olive oils. China imports more than AUD45 billion in luxury food items and food safety has become a major concern. It has been estimated that up to 70% of imported food products in China are counterfeit. This has been a cause of concern for the Chinese authorities as well as for Australian exporters. Obviously fraudulent and counterfeit products destroy trust and loyalty to particular brands and market segments, and can destroy faith in the economic system. Consequently, the new fraud detecting technology provides a way to authenticate products. The rising affluence of Chinese consumers has given them the economic power to make choices. And they have come to the conclusion that they would rather pay for an expensive product which has been proven to be authentic, rather than pay for the cheaper copycat product. 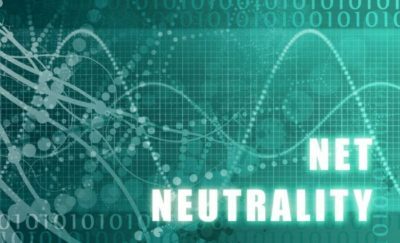 The China Trade Association for Anti-Counterfeiting recognized the YPB tracker technology as the only invisible tracer company allowed to operate in China. This gives YPB a huge advantage over other anti-fraud measures which are not accredited nor recognized. Brands which use the YPB technology for their products packaging are also given equipment which can read the tracer for verification purposes. YPB has created an integrated market where they can help the manufacturer with an end-to-end solution, or have the technology integrated into the brand’s processes. YPB can also provide custom signatures unique to the brand for specific time periods which provides an added layer of authentication. Businesses like YPB are providing bold solutions to real everyday problems. Counterfeiting hurts the entire economy, undermining trust and misallocating resources. Quality products spend extra time and money to produce superior products, if they cannot realize the rewards of their efforts, they cannot remain viable. An App like YPB can level the playing field, so that quality brands have the same chance of success as least cost brands.